New Delhi, Apr 21: In the past couple of days there has been a lot spoken and discussed about the Samjautha Express blasts case. The Supreme Court on Wednesday ruled that there is no evidence to charge Lt Colonel Purohit and Sadhvi Pragya Singh Thakur under the provisions of the Maharashtra Control of Organised Crimes Act (MCOCA). The Supreme Court while stating that there is no evidence to charge them under MCOCA at this stage directed the trial court to examine their bail plea. The turn of events that the Lt. Colonel Purohit case has taken is pretty interesting. His claim that he was not one of the terrorists but an infiltrator on a military intelligence operation is quite stunning. 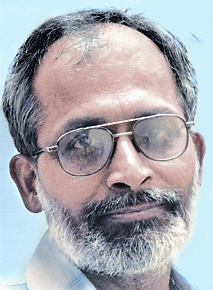 Subhash Gatade, the author of the controversial book, Godse’s Children — Hindutva Terror In India tells rediff.com that there is a need to probe more and the time has come to go beyond Purohit. He says that there is enough documentary evidence to show that Purohit was acting as a mole but was the man who was leading the operation. Gatade points out that it is clear that the manner in which a section of the Military Intelligence have behaved in this case go on to show that it has even made it evident that they were also complicit at some levels in the criminal acts of Purohit and by providing a fig leaf to him to ‘protect himself’ they just want to ensure that the ambit of investigations does not move beyond the ‘rogue’ officer. There is an urgent need to probe this case beyond Purohit. His military career does not look as though as it was very remarkable. His participation in the counter-terrorism operations in Jammu and Kashmir in the year 2002 was not something that can be spoke of in great length. His posting in the Military Intelligence Cell , which is meant for developing and maintaining links between army as well as the people , must have helped him a lot. It facilitated renewal of his contacts with the Hindutva activists, where Col S S Raikar, school commandant of Bhonsala Military School, played a key role, which later germinated in the form of Abhinav Bharat. He is reported to have even organised training camps in which dozens of people took part and were taught to handle arms. He also took initiative in organising camps in Pune but most of these camps took place in the campus of Bhonsla Military School. Further one must also read into the Malegaon case chargesheet which has the testimonies of a few military personnel too. These people knew him and he had tried to rope them in for his grand project of ‘Aryavarta Hindurashtra’. One gentleman’s – a colleague in the military – who was from Army Education Corps and ‘had experience to raise and run new schools at different places’ who had purchased a land in an underdeveloped area and had plans to ‘establish a The recordings of the meetings which were done by Swami Dayanand Pandey also provides details about the contacts the team had tried to establish with Israel and the king of Nepal who had promised them arms as well as training in arms. Another recording tells us about Delhi Hindu Mahasabha chief Ayodhya Prasad Tripathi’s loud claims about his links with an anti-Islamic group based in the UK headed by a ‘dreaded anti-communist and anti-Islamic’ David Gaus whose units ‘are growing rapidly in France, Germany, England and America’. On the tapes Purohit is heard talking about starting a military school in every state, where recruits would be given rifle training during the summer. According to him these schools could be used to hide people in case of “any police action. One must also read into the inquiry into the Nanded blast where a retired naval officer S R Bhate says that in March-April 2000 he had been asked by the local Bajrang Dal leader “to train his activists in the use of gelatine sticks at a camp in the city” and then at a larger one in the BMS (Nasik). Bhate told the ATS that the camp had been organised by the RSS and about 115 activists from across the country were trained in karate, ground obstacles and firing of revolvers. Apart from the direct involvement of Ramesh Upadhyaya, a retired army Major, in the operations, one also gets to know from newspaper reports that the ATS under Karkare had also interrogated Raikar, Commandant of the Bhosla Military School for his knowledge of the whole conspiracy and the manner in which the premises of the School were freely given to others. In fact, Purohit had served with the new commandant of the school, Col S.S. Raikar, who also worked with military intelligence earlier, and had even requested him to let the Abhinav Bharat hold its meeting in the school. Purohit had shown interest in his project and invited him to a meeting in Faridabad where he had promised that he would be able to meet some other people who would be helpful in his venture. It was a meeting of ‘Abhinav Bharat’ which was attended by many of those who are at present behind bars. Of course, it did not take much time for the enthusiastic gentleman to realise that Purohit had other plans and would not be of much use in the proposed school. Interestingly contrary to army court’s inquiry – whose extracts have rather created a confusion- an independent probe by the army makes it clear that Purohit was never authorised to infiltrate the right wing group Abhinav Bharat. Investigators also suspect that a report by Purohit after the Malegaon blast naming Sadhvi Pragya and others — which is being cited in his defence that he kept his seniors in the loop — was a ploy to cover his tracks as he feared being linked to the blast after the Maharashtra ATS identified Pragya as a suspect. Question naturally arises about the extent and depth of right wing hindutva penetration in the army. It appears that the powers that be have never been very keen to broach the subject or undertake an investigation into the phenomenon. One still remembers the hurried manner in which Mr A.K. Antony, defence Minister of India, categorically stated after the arrest of Purohit, a serving army officer, the first of its kind in independent India, that he was the sole exception to the otherwise secular and democratic character of the army. A witness in the Malegaon case said that a ‘Colonel Dhar’ (later identified as Lt Col Bappaditya Dhar) was present in an Abhinav Bharat meeting. Purohit had also named several officers. “There are many respected men who are not there today,” Purohit is learnt to have said, adding, “There is a Col Raikar, Col Shailesh Raikar, a Major Nitin Joshi, and a Col Hasmukh Patel.” The ATS is learnt to have interrogated Raikar and Dhar extensively but could not move against them as it did not have a watertight case. One is little bit surprised over the enthusiasm being expressed by the RSS over terror mastermind Purohit’s feverish attempts to wriggle himself out of the terror tag and save his skin and letting his other accomplices in the ‘mission’ face the music. RSS must be thinking that Purohit’s defence would help it as well in the long run as it finds itself on the defensive on this issue. With n number of RSS pracharaks behind the bars for their alleged role in Hindutva terror acts and many of them still absconding and with names of many senior leaders of the ‘Parivar’ doing rounds of the NIA for their role in this anti human conspiracy, it is also desperately looking for straws to save itself. With a twist in the Lt. Colonel Purohit case there is expected to a long drawn battle in the trial court since prima facie there appears to be a change in the facts of the case. Purohit who has been named as an accused in the Malegaon blasts case has told the army court of inquiry that he was just an infiltrator on official duty to find out the modus operandi of some right wing groups which were indulging in terrorist activities. He also is armed with the deposition of several other army colleagues who have verified this claim by Purohit to be true. Irrespective of what the army court of inquiry decides, Purohit will still have to face trial before the special MCOCA court which is seized of the case filed by the Maharashtra ATS. Once this case comes up here there is expected to be a confrontation between Purohit and the other accused in the case namely Sadhvi Pragya Singh and others. As long as Purohit was battling the case as an accused there were no issues and all the other accused were pretty much sailing in the same boat. 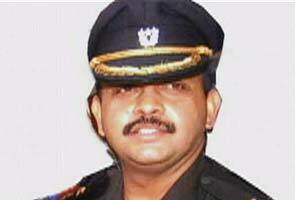 However Purohit is expected to use the same defence taken before the military court in the MCOCA court as well. As per his latest defence, he was only an infiltrator where as the rest of the accused were involved in this case and he was only trying to get intelligence on them as per the orders of his superiors. This fact has however not gone down too well with the rest of the accused. The legal team of Sadhvi Pragya Singh tells rediff.com that this is a complete change in stance by him. His claim of innocence remains the same, but he is now seeking to elaborate on what exactly were the circumstances. The more disturbing fact of his statement is that he makes the rest out to be an accused while he claims that he was only spying on them. All through the case for the past two years he has never revealed this to the MCOCA court and if he now decides to make this statement it could be a dishonest deposition to which we will object. We would ask him as to why this defence was not taken at first and what are the circumstances that led to him making this changed statement so late in the day. The fact that he tries to exonerate himself and place the blame on the rest of the accused will be objected to and the primary question that would be asked is why this version never came out till date. However the legal position in such matters is simple. Legal experts say that there is nothing that prevents Purohit from making a statement to this effect before the MCOCA court. The similarity in the deposition before both the army court and the MCOCA courts are the same. The larger point is that he has always claimed that he is innocent. There is no change to that effect. However before the MCOCA court he will explain as to why exactly he is innocent and will state the exact reasons that he has been telling the army court. The problem is however for the other accused. The Purohit deposition makes him an innocent, but does place the emphasis on the rest of the accused who are being made out as the persons on whom Purohit was spying on. This would just give the prosecution an added ammunition to push the case against the other accused further. Legal experts say that if Purohit makes this claim before the MCOCA court then the rest of the accused are well within their right to object to it by stating that this is an after thought and ought not to have come out so late in the day. They would also argue as to why this version was hidden for so long and hence there could be an agenda behind this latest version. Experts further point out that although the other accused can put forth this argument there is however no restriction on Purohit to make this new claim before the MCOCA court. There is nothing that prevents him from doing so and he can give out a proper explanation as to why this after thought crept into the trial this late. The biggest defence for Purohit would be that being an army officer, it was his bounden duty to inform the army court about the real picture first. Moreover as per his claim he was part of a secret operation and had he told the trial court first there was this danger of the entire operation coming out in the open, which he wanted to avoid. Being an army officer he had to inform the army court first as this was an operation which was originally sanctioned by the army. While both the courts as well as the other accused cannot deny him the right to make this new claim, the final decision would however lie with the court itself which could either accept his version or even reject him. What ever the outcome would be of the army court, it would have not much bearing on the decision of the MCOCA court. Purohit can make this new claim and also bring in his witnesses from the army court to support the same. The MCOCA court on the other hand would allow both the other accused as well as the prosecution to cross examine him based on which it would decide on the fate of Purohit.